Task: to create website templates for a company promoting businesses online. Ukrainian company Promodo helps large and small businesses establish an online presence and offers a range of corresponding services including advertising, search optimization, promotion and analytics. 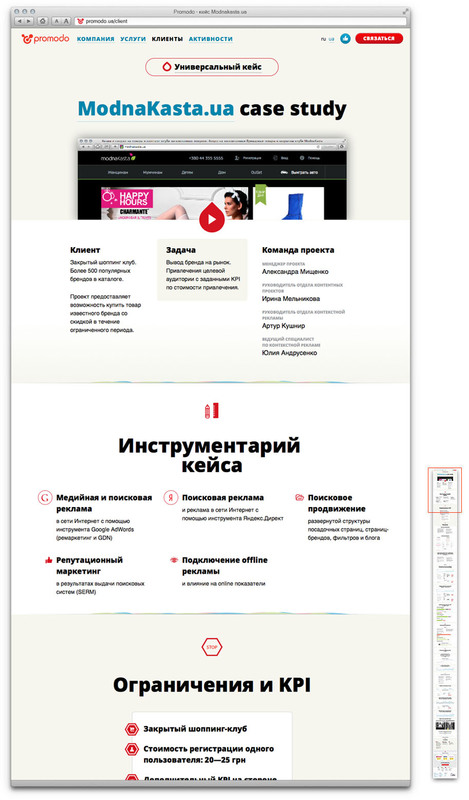 A modern website for the company was created at the studio. Visitors to the website are greeted by an animation explaining the idea behind the company’s “Stand out!” motto and a video about the company. A set of styles was created for existing and future sections of the website. 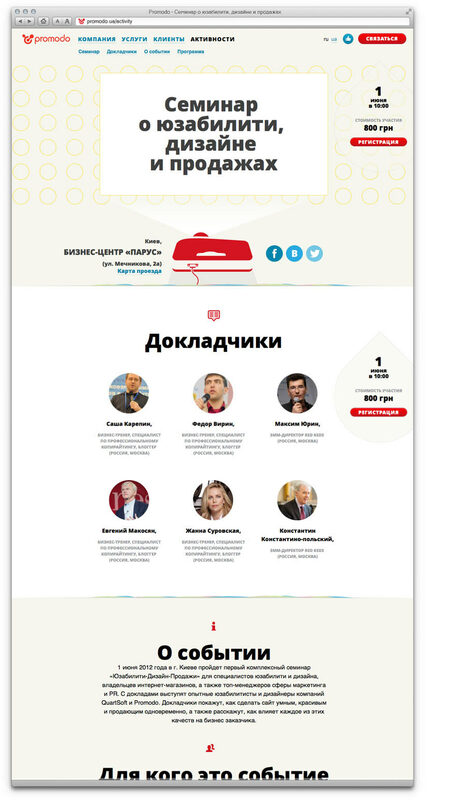 The company holds seminars regularly, so a convenient page with event information and a registration button was created.